Insulated Concrete Form construction provides a sound barrier, superior insulation, conserves trees and more. Learn more about how to make your next project a green one. ICFs and Schools are a great combination!!!! 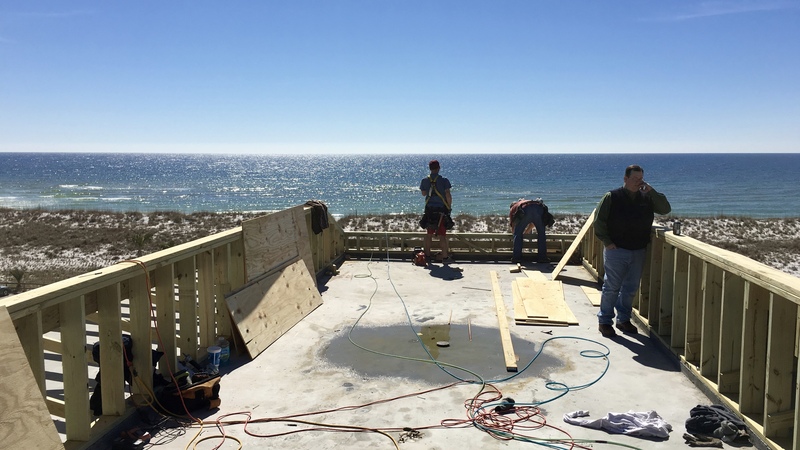 Force 5 Walls, Inc. is a distributor and installer of Insulated Concrete Forms (ICF), Lite-Deck Floor and Roof System, GigaCrete Products for Louisiana, Mississippi, Alabama and the Florida panhandle. Since starting the company, Force 5 Walls, Inc. has completed many projects of all types including: single family homes, multi floor condominiums, commercial and institutional structures. We have extensive experience with numerous ICF manufactures including Amvic, Fox Blocks, Quad Lock, Build Block, Lite Form, and Green Block. Force 5 Walls, Inc.’s high quality workmanship and excellence in customer service has earned the company the reputation of being the foremost authority in concrete applications in the Southern United States. In addition, Force 5 Walls is a well known consultant to others in the construction industry. Force 5 Walls, Inc. offers assistance from design to completion so as to maximize the benefits of building your home or commercial project with our wall or floor systems. We address any questions with the homebuilder, general contractor or applicable subcontractors in pre-planning sessions, as well as timely responses throughout the project. We offer apprentice installation programs or contractor training as well. Our mission is to provide quality products together with professional and timely installation resulting in both a successful ICF project and a satisfied customer.